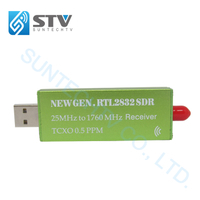 This is a new generation RTL-SDR software defined radio receiver with RTL2832 ADC chip, 0.5 PPM TCXO, SMA connector Tunes from 25MHz to 1700MHz bandwidth. Perfect for use as a computer-based radio scanner with free software like SDR, HDSDR, SDR-Radio, Linrad, GQRX or SDR Touch on Android. Works on Windows, MacOS, Linux, Android and even embedded Linux computers like the Raspberry Pi. Great for many applications including general radio scanning, air traffic control, public safety radio, ADS-B aircraft radar, AIS boat radar, ACARS, trunked radio, P25/MotoTRBO digital voice, POCSAG, weather balloons, APRS, NOAA APT weather satellites, Meteor M2 satellites, radio astronomy, meteor scatter monitoring, DAB, or for use as a low cost panadapter with a traditional ham radio. 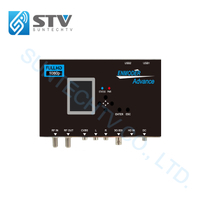 N300U is compatible with wide range of Software Define Radio applications and is capable to receive from 100KHz to 1700MHz. Designed to in order to reduce the phase noise and improve the circuit interference, N300U use special components, for example TCXO of 0.5ppm, SMA connector, Tantalum capacitor and Aluminum chassis. N300U is an open source hardware platform, that can be used as a USB peripheral or programmed for stand-alone operation. This modulator is used to feed audio-video signals through the HD SDI and HDMI and AV connector into a coaxial cable network. Signals form surveillance cameras, media-players, satellite receivers or computers. The signal is RF-modulated and available to any number of receivers (TV, set-top-box) over long distances. 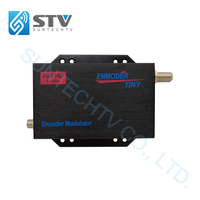 This modulator is used to feed audio-video signals through the HDMI connector into a coaxial cable network. Signals form surveillance cameras, media-players, satellite receivers or computers. The signal is RF-modulated and available to any number of receivers (TV, set-top-box) over long distances. This new version device brings you more options and make the installation convenience. 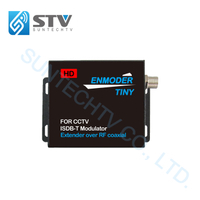 The modulator series supports ATSC, QAM, DVB-T, DVB-C, ISDB-T, DTMB standards. Easily convert your HDMI signal into an RF signal. Ready for distribution over coaxial cables. Not as traditional way of setting via dipswitch, you can now set it via ETHERNET. Bring you more options and make the installation convenience. Convert your HDMI signal into an RF signal. Ready for distribution over coaxial cables. 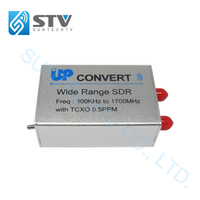 The modulator supports universal DTV standards. 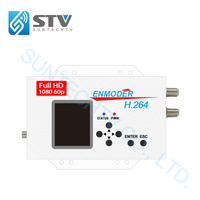 This HDMI extender over coaxial cable can do digital coding processing from HDMI signal with DTV technology. 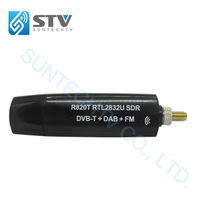 The product adopts RF modulation technology characteristic to transmit the multiple RF signal through one common coaxial cable for long distance transmission without amplification. 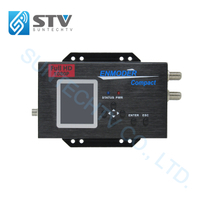 The receiver can restore the high-definition video signal and transmit it to the TV or monitor. transmission product, DTV USB dongle, video captureand so on. 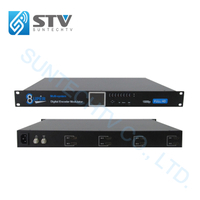 We developed as an expert in DTV consumer broadcasting and receiving technology industry. Our products are widely used in hotels,public security, education, entertainment shops and broadcasting industry. We own a professional, excellent, aggressive and elite R&D team to meet your needs. of audio and video industry, and provide good quality product and best service to users. Copyright Suntechtv Co., Ltd. All rights reserved.